Steve Collins, President and CEO of Fort Financial Credit Union, recently helped lead a coalition of Indiana credit union representatives to the island of Dominica. The trip was in conjunction with the World Council of Credit Unions and the Indiana Credit Union League. 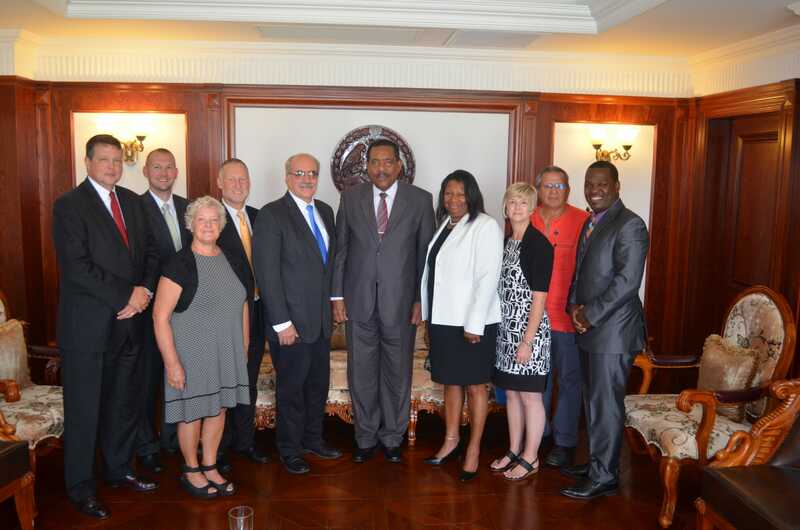 While there, they met with the country’s president, His Excellency Charles Savarin, to discuss the credit union industry and Dominica’s recovery efforts since last year’s Hurricane Maria. Representatives of all the island’s credit unions were present, in addition to representatives of the Caribbean Confederation of Credit Unions and the Dominica Credit Union League. The coalition lead sessions on strategic planning, lending and agricultural lending. Steve Collins (fourth from the left) is pictured with members of the coalition and Dominica President Charles Savarin (middle).